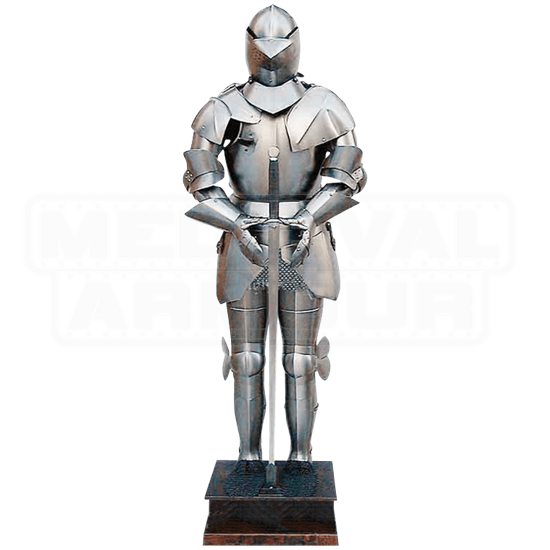 Throughout the centuries, the two great centers of armour manufacturing remained in Italy and Germany wherein talented craftsmen created armour for nobility. Italian armour was highly prized for superior style and Germany for incredible detailing. It is no wonder that the workshops of the time copied the best features and styles of each other and by the 16th century, Germans had adopted the full rounded outlines of Italian armour while the Italians took note of the decorative designs and characteristics popular with German armour. 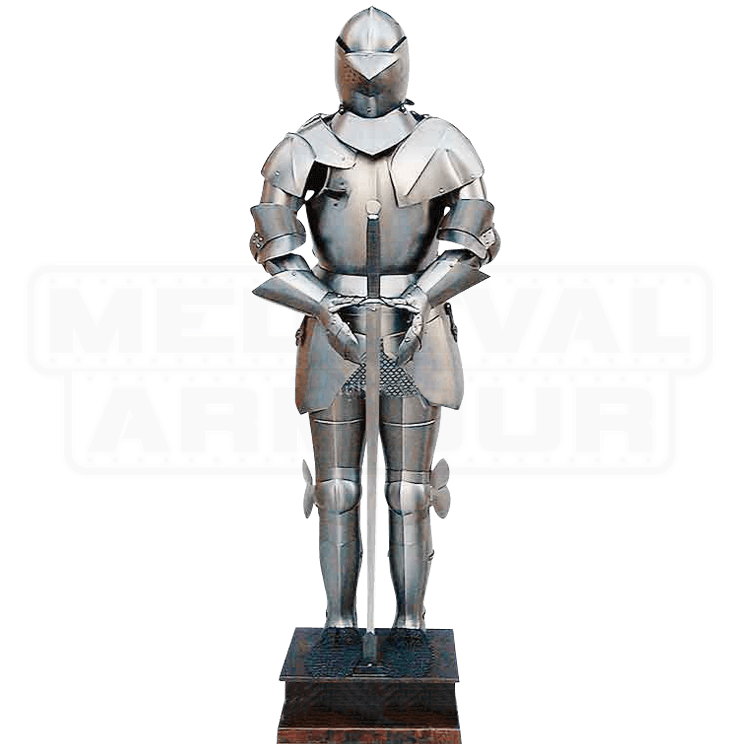 Our superior reproduction 17th century full suit of plate armour boasts a basinet style helm and smooth plates, utilizing the artistry of both great armour centers and is crafted in the styling tradition of those master craftsmen who created the originals for kings and knights throughout Europe. See the difference between this suit of armour from Italy and others made elsewhere, there is no comparison. This life size and wearable articulated suit of armour is made of steel and stands about 6.5 feet high, measured from the top of the helm on its own wood base (as shown). It comes complete with a sword.